An all-new novelette by Andrew Vachss, author of the acclaimed Burke series. For all secrets created, a tiny percentage is kept against any intrusion. The ultimate extractor of such secrets is The Questioner – a man who has trained himself to become empty, who uses that emptiness to listen fully, to sense what others need to hear, to respond in ways that lead them to reveal their most protected thoughts. Disdaining torture or coercion, he mines those secrets with nothing more than conversation. For those who meet his price – governments, multinational corporations, and the most complex criminal organizations – The Questioner obtains information. The secrets he learns can create or topple empires, win or destroy fortunes, lubricate the gears of the world … or grind them to a halt. But as the Questioner moves from one target to the next, just beyond the outer edge of his probes lurks something dangerous to his own emptiness. It will force him to turn his powers inward, to ask how he became what he is, and to find a truth he has never sought. 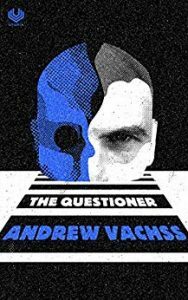 Andrew Vachss has been a federal investigator (USPHS), a social services caseworker, and directed a maximum security institution for “aggressive-violent” youths. Now a lawyer in private practice, he represents children and youth exclusively. His articles and essays have appeared in Parade, MSNBC, New York Daily News, New York Times, Newsday, the ABA Journal, and the Journal of Psychohistory, along with numerous other forums. He is the author of more than thirty novels and three collections of short stories, which have earned him such international awards as the Grand Prix de Littérature Policiére (France), the Falcon Award from the Maltese Falcon Society of Japan, the Deutschen Krimi Preis (Germany) and the Raymond Chandler Award (Italy), as well as graphic novels and a variety of special projects. He is most currently engaged in the work of the Legislative Drafting Institute for Child Protection. Mr. Vachss lives and works in both his native New York City and the Pacific Northwest.